Member representing Kachia/Kagarko federal constituency of Kaduna State who doubled as the Chairman, House Committee on Interior, Hon. Jagaba Adams Jagaba has indicted former President, Olusegun Obasanjo in his court case after he alleged that the stateman’s administration paid members of the House of Representatives N500,000 each to impeach the former Speaker of the House, Ghali Umar Na’Abba. He made the revelation while testifying before an FCT High Court in Lugbe in the ongoing trial of Hon. Farouk Lawan who was accused of fuel subsidy bribery scandal in the 7th Assembly on Wednesday. 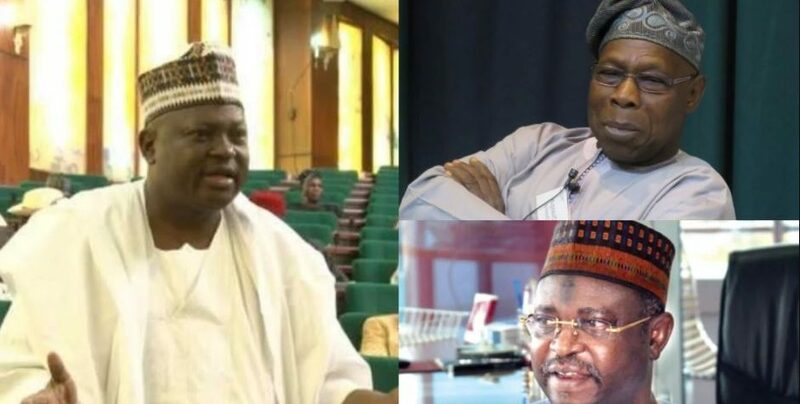 While responding to questions when he was being cross examined by Lawan’s Counsel, Mike Ozekhome (SAN), Jagaba explained to the court that the money was brought by the executive arm of government to bribe members of the National Assembly specifically to impeach the then Speaker, Na’Abba.